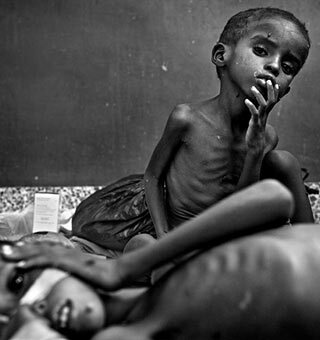 The conversation on Twitter: do you think the Somalia famine will stay visible in the media–or fade? Answer: sadly, fade. It is the worst famine in a generation, say people whose unpleasant duty it is to do the counting of the starving and the dead. Nearly 4 million in Somalia alone–11 million if you include neighboring Ethiopia and Kenya, victims of unprecedented drought and civil war. And now, it seems, the rebels who have prevented food from reaching these millions of vulnerable in the southern region have made their most calculating move yet: kidnapping the one woman in the Somali government, Asha Osman Aqiil. Traveling into Mogadishu for her first cabinet meeting as Women and Family Affairs Minister, Asha Aqiil, 32, was “snatched by a gang” according to clan elder Ahmed Sheikh Mohamud. Her husband was killed three years ago by suspected Islamic gunmen. Women’s activist Sahra Maalin called it “collective punishment against Somali women and all those who believe in equality.” Under terrorist Shebab rule, linked to al-Quaeda, women are not allowed to hold public office. The kidnapping has sent a chill through the humanitarian community–the UN said it would be flying supplies into Mogadishu “within days”…but foreign hostages are known desirables for the terrorists. Meanwhile, refugees continue to walk unimaginable distances to camps outside the Somali borders, 130 miles and more, looking for food and shelter. Yes, Shebab has our attention now–but what about the starving?